These are great! 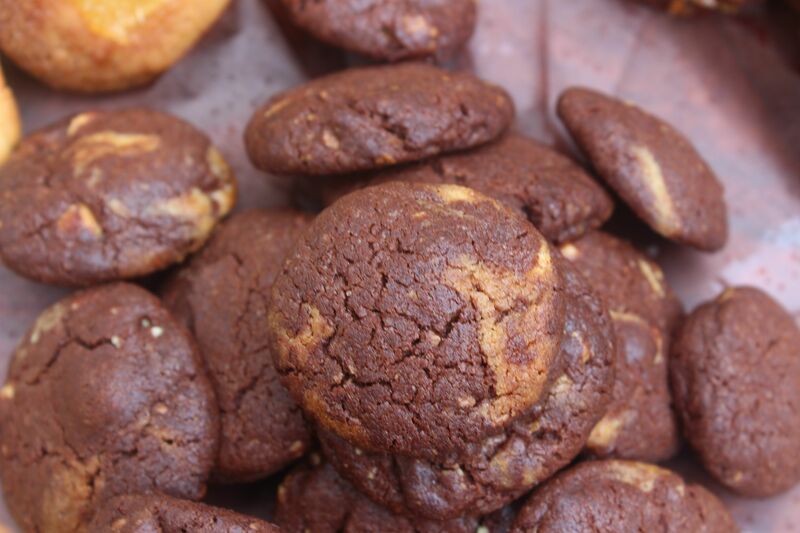 They combine two great methods of biscuit making to create a thick, buttery, chocolately sweet treat. The recipe is more shortbread than cookie, creaming butter and sugar, and adding flour.There’s no egg, as there would be in traditional chocolate chip cookie. Add a handful of chocolate chips and the shortbread dough steps over into cookie territory. The recipe is based on a post from “The View from Great Island”, see here. My version is minus peanut butter, and with my own variations. If you’re over thin and crispy cookies, or soft and chewy, making a nice dense shortbread make sense. If you want to zhush up these cookies, try mixing in a tablespoon or two of caramel filling when you cream the butter. Something like dulche de leche is great. And sprinkle some sea salt on to the cookie rounds before baking. Cream the butter using an electric mixer until the butter is soft and whipped, Add the vanilla extract. Mix the dry ingredients together and add to the butter and mix until the dough just comes together. Stir in the chocolate chips, making sure not to overmix the dough. Turn the dough out onto greaseproof paper. Divide the dough into two, for easier handling. You need to gently shape each dough portion to form them into a log shape. Each log will be about 15- 20cms in length and the diameter will be about what you would expect form a round cookie…ie 8-10 cms. But the size of the logs is really whatever size you want your cookies to be! You may need to work it with your hands if it is too crumbly. 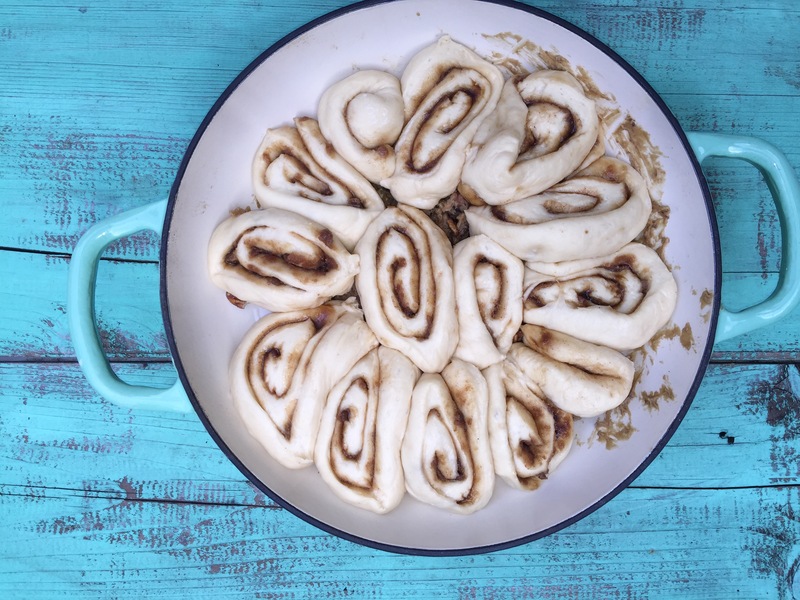 Roll them up in the greaseproof paper, carefully making the log the shape, Twist both ends of the logs securely. Refrigerate for one to two hours until the logs are really firm. Cut the logs into 1 cm slices with a very sharp knife, I find that a serrated knife works well. Some will be more even shaped than others, and the ends of the logs will be smaller. Place the cookie slices on a baking sheet lined with baking paper. You may need 2 baking sheets depending on how many cookies you are baking. I usually get 20-22 good sized cookies from the dough quantity. Bake for about 12-14 minutes, until the cookies are light golden and look like shortbread. Let the cookies cool on the baking sheet for 5 minutes and then cool completely on a wire rack. 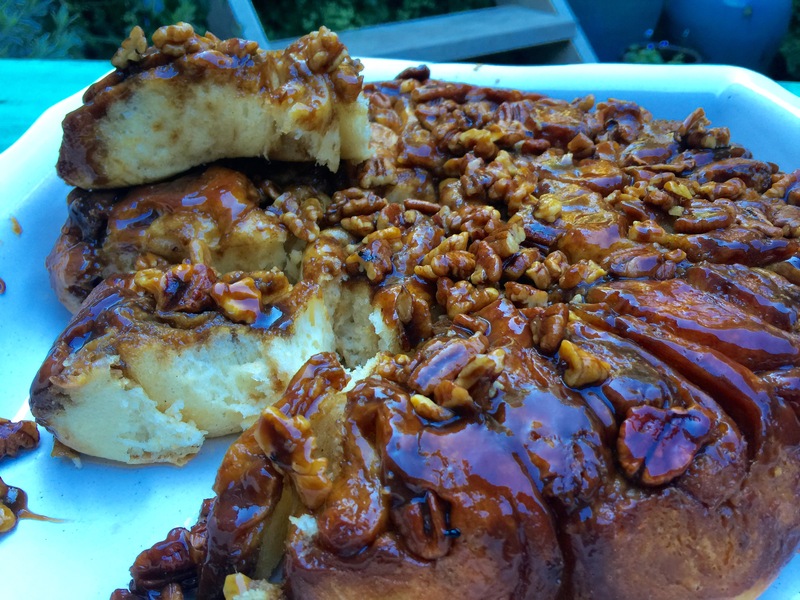 Posted in Biscuits and Slices, Small Baked Things, Sweet Food and tagged biscuits, caramel, sweet treats. Bookmark the permalink. 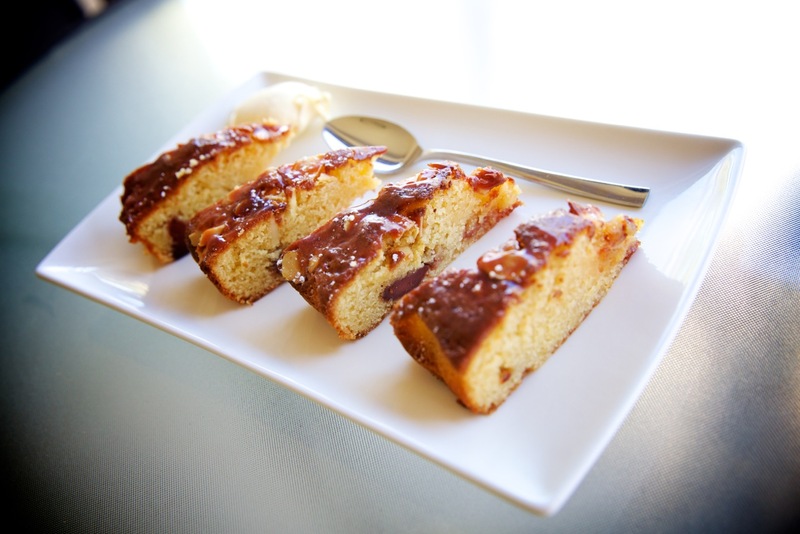 I found a recipe for flapjacks while surfing the internet for “tray bakes”. As a food etymologist I was intrigued by the name, not overly used in Australia. We tend to talk more of “slices”. 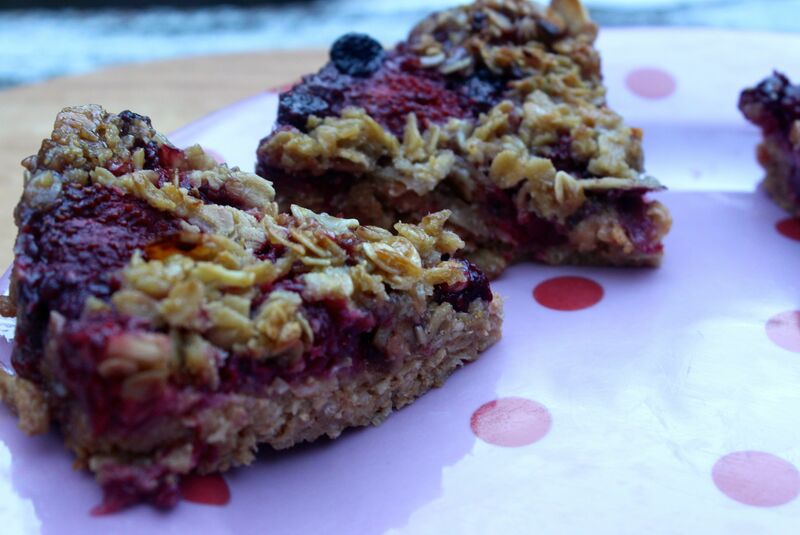 The following recipe is very loosely based on one of my finds, Blackberry and apple oaty flapjacks: http://www.goodtoknow.co.uk/recipes/511747/blackberry-and-apple-oaty-flapjacks. My traybake turned out more of a tart as it was quite soft. I think the apple makes it soft, so you could try less apple to firm it up or cook it for longer. My next incarnation of the flapjack will be apple-free and I’ll make the berries into jam before cooking. Watch this space! Preheat the oven to 180°C. Grease a medium sized baking tin. I used a flan mold for something different. 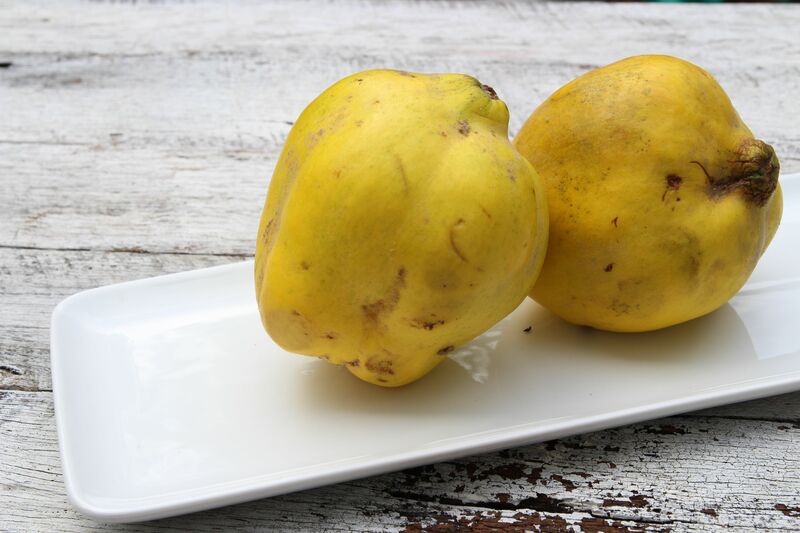 Place the chopped apple in a saucepan with enough water to cover. Put on the lid and cook until soft. Drain the water and puree or mash the apple. Mix the oats and the cinnamon in a large bowl, add the apple and caramel and combine well. Spread the oat mixture Into the base of the tin or flan and spread out into an even layer. Scatter the mixed berries on top of the oat mixture, having cut in half any larger berries such as strawberries. Drizzle the golden syrup over the berries. To make the crumble topping, combine oats, butter and extra golden syrup. Spoon the crumble mixture over the berries, lastly scattering the flaked almonds. Press down slightly to stick the layers together. 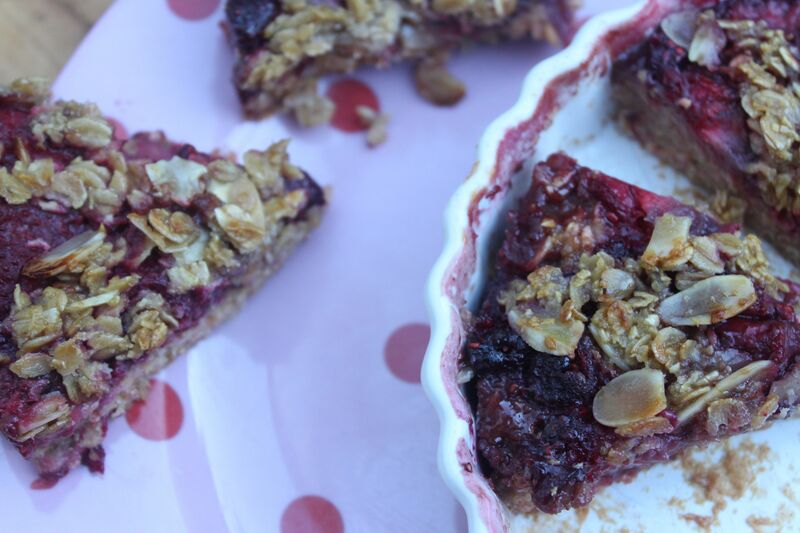 Bake for 20-30 minutes or until the flapjack is golden brown and the berry juices are bubbling. Remove from the oven and leave to cool completely before cutting into pieces. 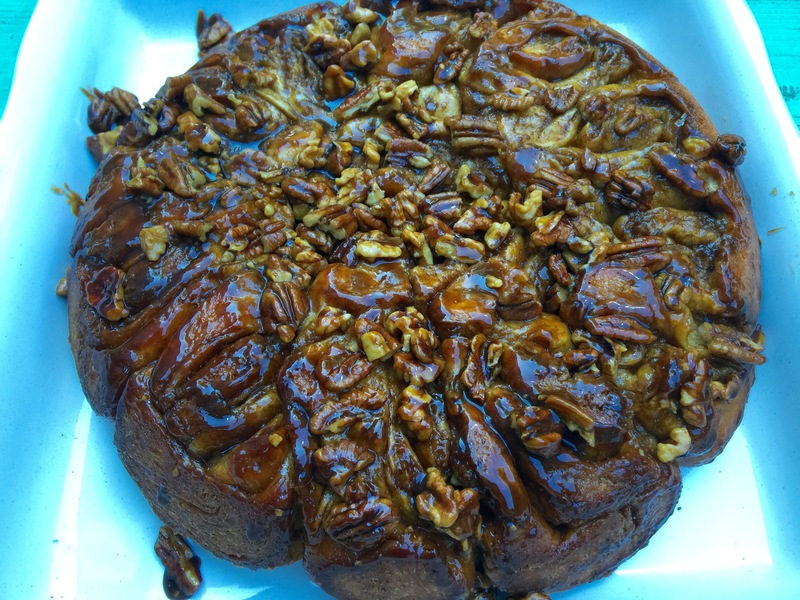 Posted in Biscuits and Slices, Breakfast, Cakes, Dessert, Small Baked Things, Sweet Food and tagged afternoon tea, almonds, berries, breakfast, caramel, crumble, golden syrup, slice, traybake. Bookmark the permalink. 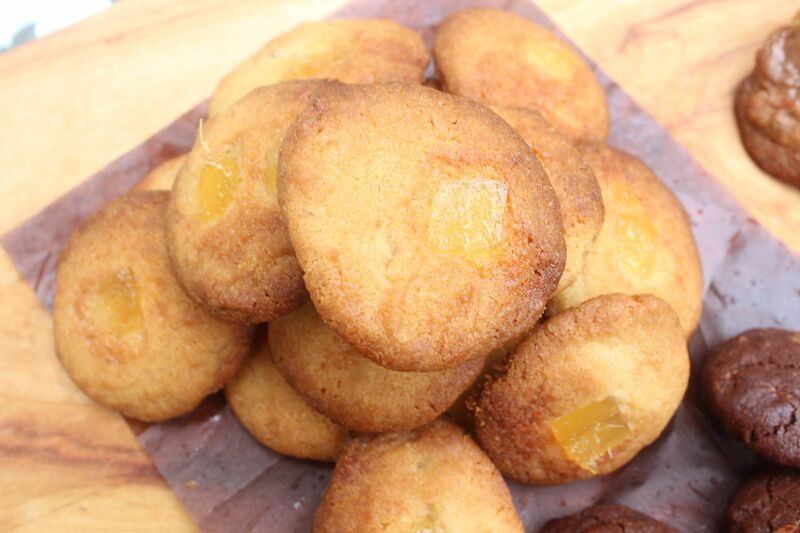 These butter cookies are based on Annabel Langbein’s Cookie Sampler recipe. I previously made a three flavour sampler and this time used the same basic recipe with some different twists. 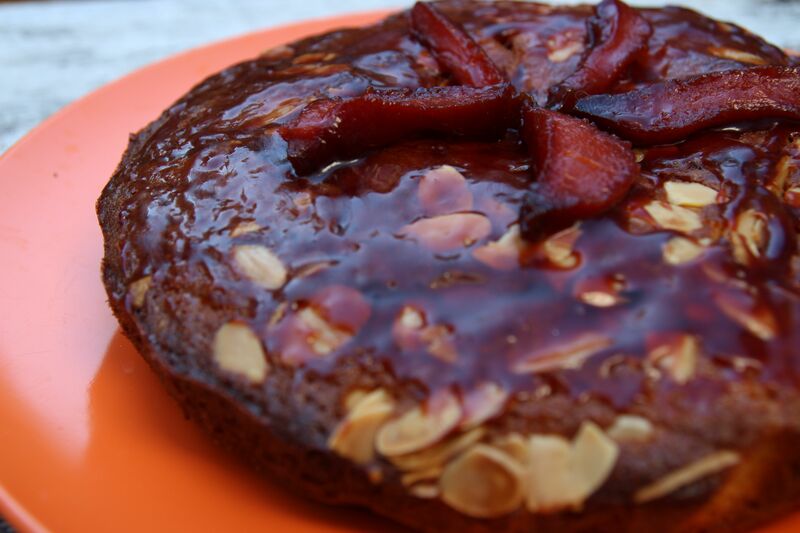 The beauty of Annabel’s recipe is that has no egg and uses condensed milk as well as sugar. The resulting dough is easy to shape, freezes well and the cookies keep for a couple of weeks. The cooked biscuits freeze well too. Preheat oven to 160 degrees C. Line 2 oven trays with baking paper. Cream the butter and sugar. Beat in the sweetened condensed milk and vanilla, then stir in the flour and baking powder. To make Cookie Sampler, divide dough into 3 portions. Mix flavourings (see below) into each portion. Chill mixture for 15 minutes. 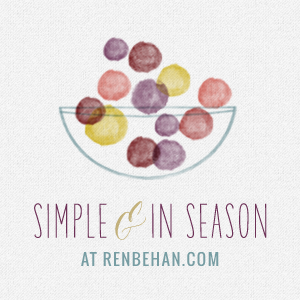 Roll into walnut-sized balls, place on baking trays and flatten slightly. Decorate according to instructions for different flavourings. Bake until lightly golden and set (about 15- 20 minutes). Allow to cool for 10 minutes on the tray then transfer to a rack to cool completely before storing in an airtight container or jar. 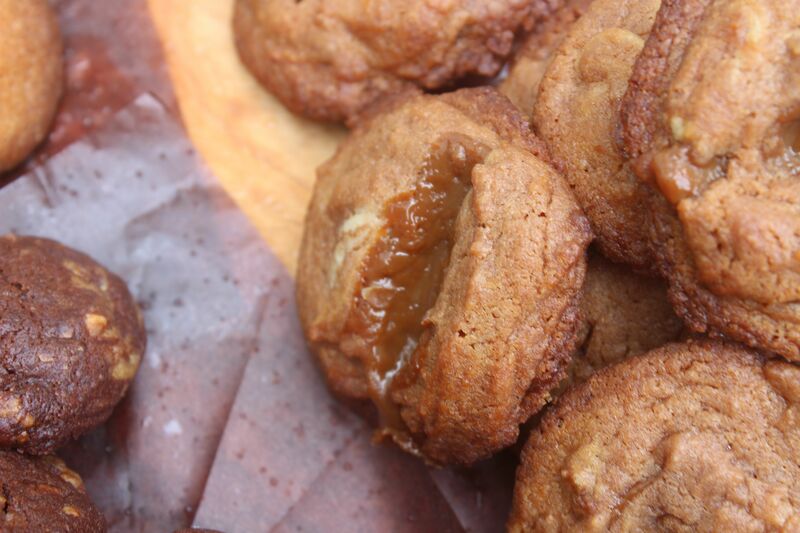 Mix in a couple of tablespoons of dulce de leche or other thick caramel spread into 1/3 of the dough. Once you have formed the walnut sized balls, place half a teaspoon of caramel in the centre of each ball. 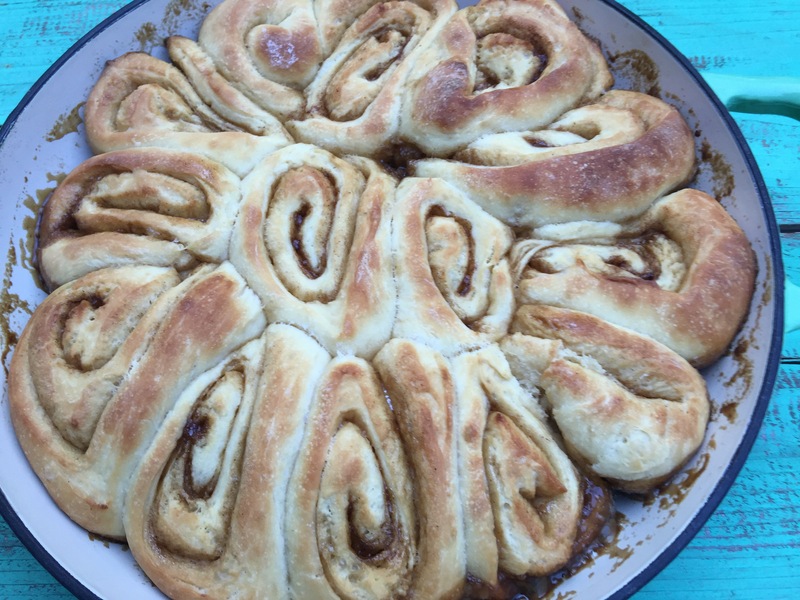 Mix in 2 tablespoons of Dutch cocoa and 2 tablespoons of dulce de leche or caramel spread into 1/3 of the dough; add a handful of dark or milk chocolate bits to the mixture. Add 2 teaspoons of ground ginger to 1/3 of the dough. Finely chop a handful of stem ginger (about 10 pieces), or pulse in the food processor with the dough. 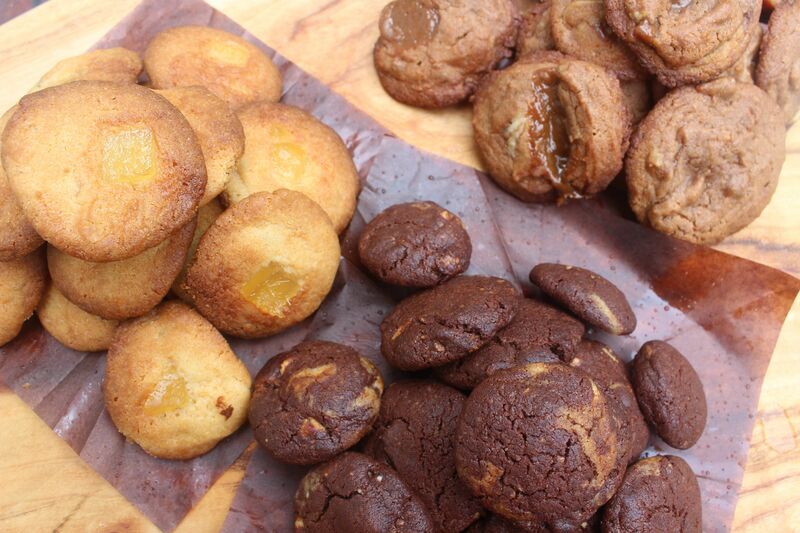 Once you have formed the walnut sized balls, place a sliver of stem ginger on the top of each cookie. Posted in Biscuits and Slices, Small Baked Things, Sweet Food and tagged caramel, chocolate, condensed milk, cookie sampler, dulce de leche, Duth cocoa, stem ginger. Bookmark the permalink. This recipe is based on something from Gordon Ramsay’s Ultimate Cookery Course. 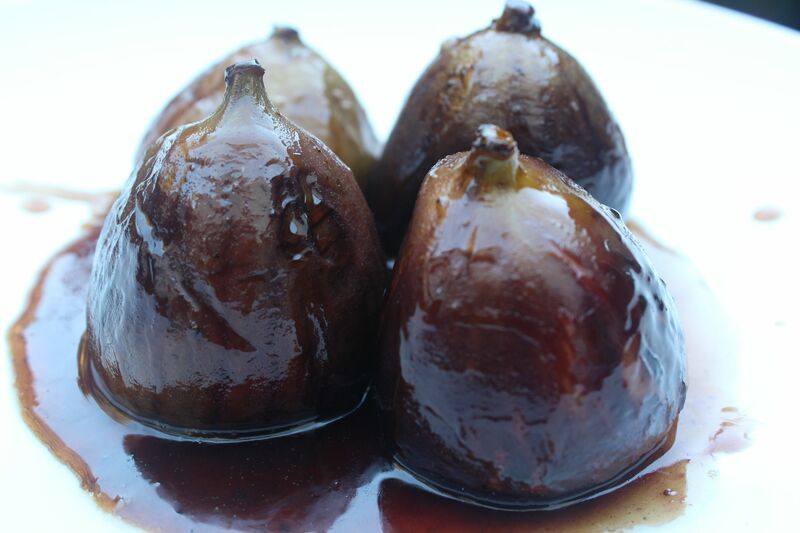 The caramelisation of the figs comes from creating a toffee syrup and adding butter and balsamic vinegar. 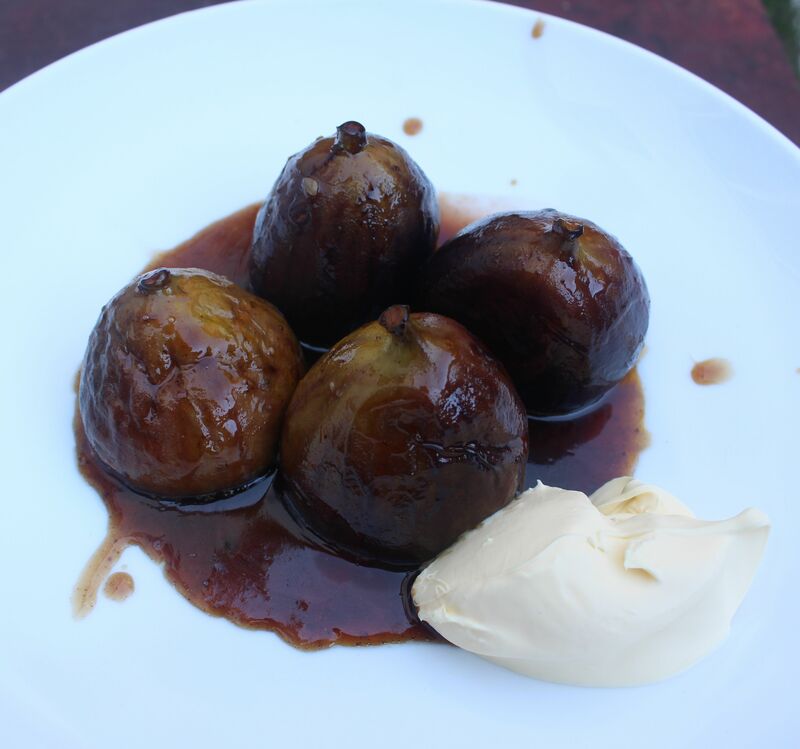 4 firm black figs – for 2 people or 1 very greedy person! Place figs in a bowl and sprinkle with icing sugar. Drizzle over 1tablespoon of balsamic vinegar. Roll the figs in the icing sugar and balsamic to make sure they are well covered. Melt the caster sugar in an oven proof dish or frying pan over a low heat. The sugar will melt and turn a deep caramel colour. Be careful not to stir the sugar as it will crystallize. Add the knobs of butter, stirring carefully to amalgamate. Add the other tablespoon of balsamic and 1 tablespoon of water. Carefully taste – the sauce is hot – and add a little more vinegar if the sauce needs more piquancy, or a little more water if the sauce is too thick. Add the figs and gently baste with the liquid. Place the dish in the preheated oven for 15 minutes. Baste the figs a couple of times during cooking. Serve warm or at room temperature with thick cream. I like Jersey cream – it’s very thick and has a rich smooth taste. Posted in Dessert, Sweet Food and tagged balsamic vinegar, caramel, figs, Jersey cream. Bookmark the permalink.